Most freelance writers start out as generalists, writing about topics as diverse as fixing cars to writing wills—and everything in between. However, many then eventually find their way to specializing. Specializing as a writer means finding a niche on which you focus your work. Your specialization might be a certain industry or topic, or it may be a certain kind of writing. For example, you may wish to specialize in legal writing, covering legal topics through a variety of formats, or you may choose to specialize as a ghostwriter, but still write about any topic your clients need. If you’re considering making the leap from being a generalist to specializing in a topic, here is what you need to know about making the transition successfully. Why do you want to get away from varied writing and focus on a specialty? There are many different reasons that freelance writers make this choice, but being clear about your motivations will help you make the transition more successfully and help you pick a niche that is going to satisfy your career goals. One reason that people make this switch is that they are interested in doing more writing that appeals to their interests. Another reason writers specialize in a field is that they think that they could earn more in a specialized niche. Still others make the change because they feel stressed out and overwhelmed by constantly switching up their focus throughout the day and feel like they could be more productive if they had a more defined focus. These are just a few of the reasons that people change to specialized writing niches—your own may be different—but identifying your why is important to guiding your next steps. Part of the point of specializing is that it allows you to play to your strengths. Spend some time thinking about potential specialization directions you could take with your work. This includes thinking about your educational background, past work experience, and hobbies. You should also think about your preferences. Is there a kind of writing that interests you that lines up with your strengths? Choosing a niche that plays up your strengths benefits you as a freelance writer in a few different ways. First, it makes your writing work easier. When you’re writing about a topic or in a style you are knowledgeable about, then you won’t have to spend as much time doing research or drafting your pieces, because of your background knowledge. It also helps you get clients. When you can demonstrate that you are bringing a wealth of understanding and experience to the table, clients are more likely to choose you for the work that they need, since they won’t have to train you or educate you in their industry before getting the job done. For you to be successful in your writing niche, there has to be a market for that niche. After all, as much as you may want to write about hamster training, the number of clients looking for writing in that niche may be so limited that you’ll struggle to build a thriving business around it. Based on what you identified as your strengths, do some research into the market for a couple of them to help you find a path that could be profitable for you. Within that market, check out the going rates for writers in your specialty. This will give you some idea of how much money you could potentially earn. The more technical the writing or the more specialized knowledge that the writing requires, the more writers tend to charge for their work. As such, a medical or science writer is likely to make more than someone who writes about event planning or baking. That doesn’t mean that you have to give up on specializing in something like event planning or baking—it does mean, however, that you will need to think about the amount of work you will need to do to meet your earning goals and plan accordingly. The sweet spot with any specialty market is one that has a reasonable need for content but that is specialized enough that the number of writers who can work in it is limited. That means that you will have access to a good base of clients but that you won’t have to compete with a huge field of writers for every project. If you’ve been a generalist writer for a while, then you probably have a large selection of samples to show clients, but you may not have a lot in your chosen specialty. Before you go to clients in search of work, be sure that you have a selection of relevant samples to show them in your specialty. These samples don’t have to be published work. You can simply write samples that you think will show off the work that you can do in your specialty in the best light. Then, you can update your portfolio with these pieces. It can be OK to approach clients for work with a resume that shows your experience in the field along with samples of some other types of writing that you have done. However, your pitches will have more impact if your writing samples are explicitly in the specialty you want to break into, since they show your potential client not just how you write but how you write about the kinds of topics they need you to cover. If you are a member of Writers Work, then you can also update your profile to reflect your specialty and show off your samples. This is an especially valuable tool, since it lets clients find you directly, browse your samples and background, and approach you about work. For them, it saves the step of sorting through applications from unqualified writers. For you, it cuts out the step of having to hunt down clients. Your profile in our Writers Marketplace is just one of the many tools you get as a member of Writers Work. 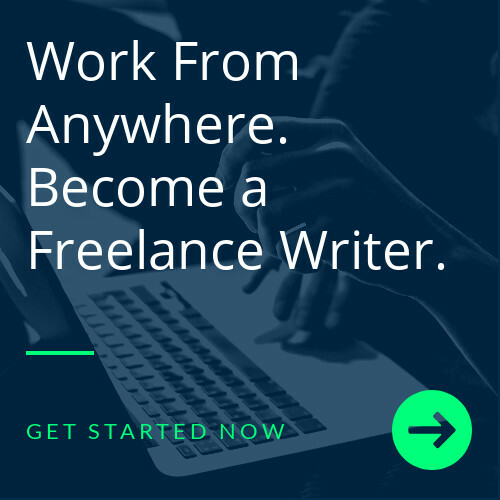 Explore our features for yourself with a risk-free trial membership and find out why freelancers are flocking to our site to build their careers!